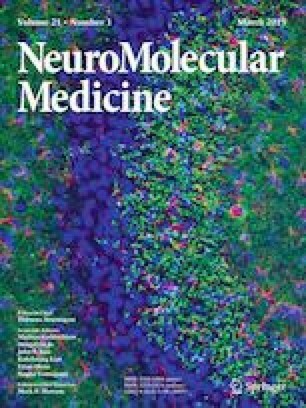 Neuronal ceroid lipofuscinoses (NCLs) are a group of neurodegenerative disorders caused by mutations in fourteen distinct ceroid lipofuscinoses, neuronal (CLN) genes described with various severe symptoms such as seizures, visual failure, motor decline, and progressive cognitive deterioration. The current research represents novel CLN5 (c.741G > A) and CLN8 (c.565delT) mutations in two different Iranian families with late-infantile NCL (LINCL) and their relatives by using whole-exome sequencing (WES). The first family had a 10-year-old male with consanguineous parents and severe NCL symptoms, including motor clumsiness, telangiectasia, and cerebellar atrophy. The second family with a child who suffered from nystagmus rotation, motor difficulties, and seizure was a 5-year-old male with consanguineous parent. WES of probands 1 and 2 revealed homozygotic mutations in exon 4 of CLN5 (c.741G > A, p.W247X) and deletion in exon 3 (c.565delT, p.F189fs) of CLN8, respectively. Both patients’ parents were heterozygous for these alterations. In concordance with previous studies, our results indicate that pathogenic mutations in CLN genes, especially CLN5 and 8, are a main cause of LINCL; these results also suggest that LINCL is not a regionally or nationally dependent disorder and can occur in any ethnic group despite the fact that some populations may be more at risk. Consequently, CLN gene screening for patients with typical signs of LINCL is recommended. Shaho Parvin and Maryam Rezazadeh are contributed equally to this work. The authors deeply acknowledge all the study participants for their cooperation and contribution towards this study.